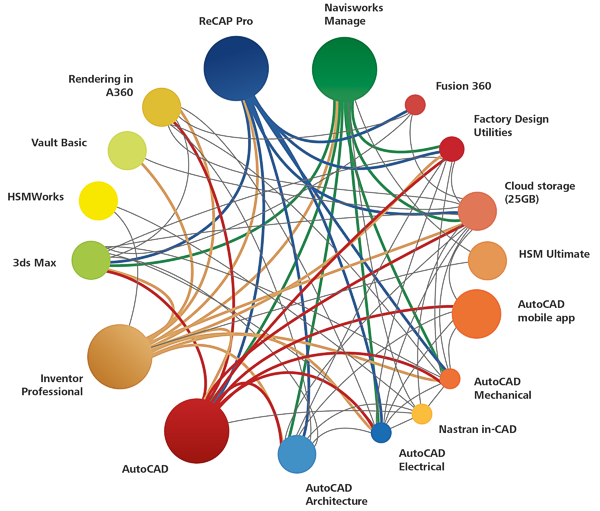 Autodesk Product Design & Manufacturing 2018 Collection (PDMC) is designed for efficient design of machines and products or entire production lines (design factory). 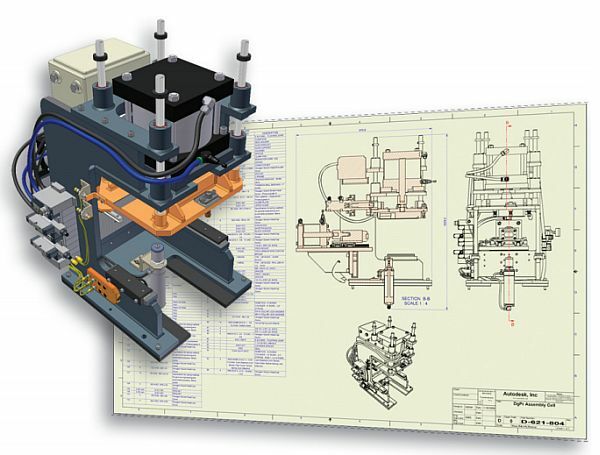 It offers all the necessary design and presentation tools for 2D and 3D visualization of sketches after, including special features for analysis and simulation, manufacturing, mechatronics and engineering data management. By purchasing a product and get optimal complementary versatile tools covering all the phases (or at least significant part) workflow designer. And all this from a single supplier, with a single installation, with unified licensing and administration, and of course data compatibility. Collection set while you get for significantly discounted price (for a price only slightly higher than the price of one main product of this collection). Product Design Collection replaces the original set of Product Design Suite and Factory Design Suite - for a similar price offer a wider range of products and cloud services. Besides design tools includes Product Design Collection PDM system and network management of documents and their versioning - Autodesk Vault.